A large group of UK’s iPhone consumers has sued Google for a serious breach of trust and privacy. A group of UK consumers has sued Google for a serious breach of trust and privacy for users with Apple iPhone devices. 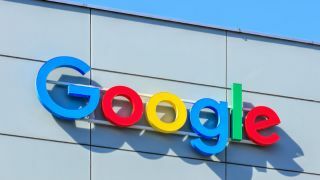 In a statement, the Google You Owe Us group said that the search engine giant misused personal data, by collecting people’s personal information unlawfully. This was achieved by bypassing iPhone’s default privacy settings, the group said, claiming Google used an algorithm to trick iPhones into releasing personal data from Safari. This was done back in 2011 and 2012, the group alleges. The group is made of 5.4 million consumers, each of which could possibly get “several hundred pounds” if the lawsuit goes their way. Even though the group represents millions of people, it doesn’t necessarily mean that they have all given their consent. Paul Baker, a partner at Simmons & Simmons says the group has to show that the customers share the same interests. Google said these kinds of lawsuits are nothing new and that they’re wrong. “We don’t believe it has any merit and we will contest it,” the company said in a statement.